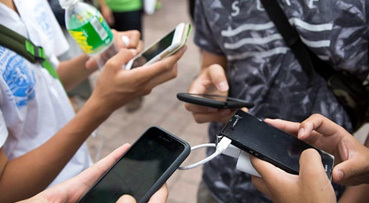 The Malaysia government is considering an Internet ban for teens under the age of 17 between 12 AM and 6 AM daily to address the video games and social media addiction among children, Deputy Health Minister Dr Lee Boon Chye said on Monday. The consideration has been made after taking a cue from countries such as South Korea and Japan. These two countries too have banned Internet for a specific time to address the same issue. “The government is studying whether such a measure can be carried out here. There are also gaming providers which prevent users under-17 from accessing their games for a period of one to two hours,” Chye was quoted as saying by Today Online. He added that Internet ban is among the steps being studied to ensure that video game addiction can be brought under control in the country. Health and Morbidity had conducted a study last year which found that nearly 34.9 per cent of Malaysian children between the age group of 13 and 17 show a prevalence towards Internet addiction. “Checks also showed that the average user spends about four hours online daily,” the minister said. The study also revealed that nearly 80 per cent of the Malaysians use social media and spent nearly four hours, on average. The minister said that addiction of video games and social media could have a negative impact on individuals. “Social media addiction was previously classified as a mental disturbance,” he concluded.